Russia is a step closer to bypassing disputes involving gas transit nations with Nord Stream, after key approvals were granted by Sweden and Finland on Thursday. The two nations were the last except Germany and Russia – the key drivers of 1220 kilometre submarine gas link between the two nations – along the route to grant approvals to use their exclusive economic zones, after Denmark gave its OK on October 20. Finland gave approval for Nord Stream to cross its exclusive economic zone, leaving only environmental clearance – expected by early 2010 – from a Finnish regional authority, before construction can commence. Aleksandr Medvedev, Deputy Chairman of Gazprom, the major shareholder in Nord Stream, says the project has come a long way, noting that the approval process from Russia and Germany would be every bit as exacting as that for the Scandinavian nations. 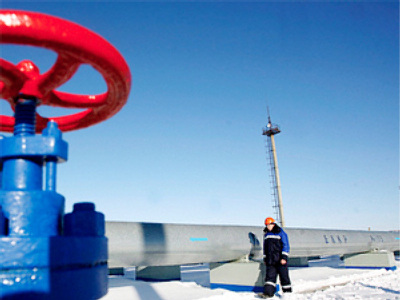 The Yamal and Shtokman gas fields are expected to provide the bulk of the gas for the €7.4 billion project. Viktor Mishnyakov, Analyst at Uralsib believes their development will get a boost from the Nord Stream approvals gained in the past 2 weeks. If all goes according to plan, 55 billion cubic metres of gas will be piped to Germany and Denmark by 2011.